While the physical health benefits of exercise are frequently discussed, the psychological benefits are often overlooked. But research shows exercise can be quite beneficial for mental health. Physical activity may help ward off mental health problems before they start. Additionally, research shows exercise can improve the symptoms of many existing mental illnesses. Mental health professionals often prescribe exercise as part of the treatment for specific mental illnesses. Exercise can alleviate many of the symptoms of depression, such as confusion, fatigue, tension, anger, and reduced vigor. For people with panic disorder, PTSD, and other anxiety-related conditions, exercise can be a proactive way to release pent-up tension and reduce feelings of fear and worry. Exercise also decreases sensitivity to the body's reaction to anxiety, as well as decreases the intensity and frequency of panic attacks in some cases. Additionally, a regular exercise program can help ease symptoms of other common co-occurring conditions, such as ​IBS. Exercise can also be used to enhance well-being in people who already feel mentally healthy. Increased physical activity has been found to enhance mood, improve energy levels, and promote quality sleep. Exercise decreases stress hormones. Exercise decreases stress hormones like cortisol. It also increases endorphins—your body's ‘feel-good’ chemicals—giving your mood a natural boost. Physical activity distracts you from negative thoughts and emotions. Physical activity can take your mind off of your problems and either redirect it on the activity at hand or get you into a zen-like state. Exercise promotes confidence. Exercise helps you lose weight, tone your body, and maintain a healthy glow and a smile. You may feel a subtle but significant boost in your mood as your clothes look more flattering and you project an aura of increased strength. Exercise can be a good source of social support. The benefits of social support are well-documented and many physical activities can be social activities as well. So whether you join an exercise class or you play softball in a league, exercising with others can give you a double-dose of stress relief. Better physical health may mean better mental health. While stress can cause illness, illness can also cause stress. Improving your overall health and longevity with exercise can save you a great deal of stress in the short run (by strengthening your immunity to colds, the flu, and other minor illnesses) and the long run (by helping you stay healthier longer, and enjoy life more because of it). Exercise provides a buffer against stress. Physical activity may be linked to lower physiological reactivity toward stress. Simply put, those who get more exercise may become less affected by the stress they face. So, in addition to all the other benefits, exercise may supply some immunity toward future stress as well as a way to cope with current stress. Yoga can range from gentle to challenging. The most common form of yoga (hatha yoga) involves physical poses (known as asanas), controlled breathing, and periods of meditation. Yoga is a low-risk method for healing the body and mind. Often the positive effects can be felt after just one class. There is growing research evidence that regular aerobic exercise (such as running, cycling or swimming) is associated with better psychological health. Although studies have focused on depression, panic disorder, and obsessive-compulsive disorder (OCD), there's also some evidence to suggest a positive effect of exercise on social phobia. Both single sessions and long-term programs of aerobic exercise have been shown to provide a positive benefit for psychological health. Although as little as five to 10 minutes of aerobic exercise can help to improve your mood and reduce your anxiety, regular programs, lasting from 10 to 15 weeks, generally offer the most long-term improvement. 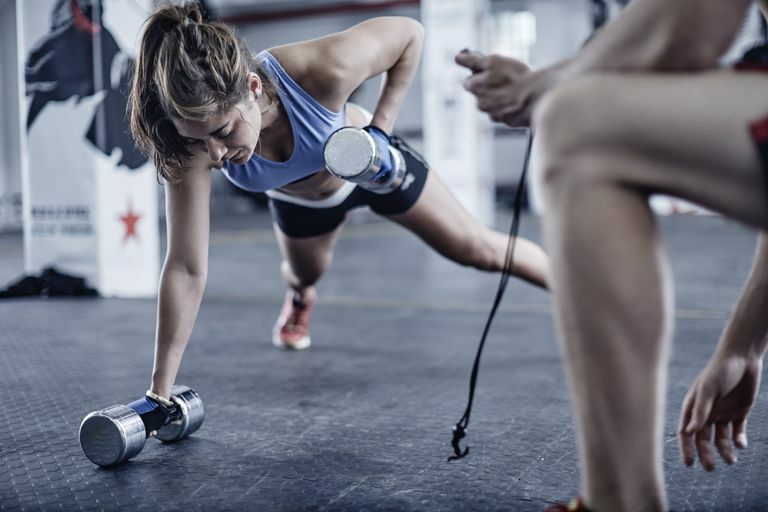 If you are just starting out with an exercise program, it's important to consult with your doctor to determine the best form of exercise and intensity level for your physical condition. Your medical history, current medications, and diagnosed conditions can all play a role in your ability to exercise. If you suspect you have a mental illness or you're being treated by a mental health professional, ask about how you can incorporate physical activity into your treatment. A qualified mental health professional can make suggestions about the best strategies for treating your specific condition. Once you have obtained your doctor’s approval and recommendations, you will want to decide on an exercise program that's right for you. Do you want to take a class? Could it be helpful to hire a trainer at the gym? Do you prefer to go for a walk on your own time while listening to your favorite music? The key to sticking with a program is to find something that you enjoy doing. When starting a new exercise plan, you may initially feel very motivated. This motivation to exercise can be extremely beneficial in helping you get started on your new exercise plan. A 2017 study published in Maturitas found that between two and six hours of exercise each week is best for optimal mental health. Don’t overdo it. Be careful not to push yourself to extremes in the beginning, as this can lead to physical injury. Remember that exercise can be fun and can help improve your panic symptoms, but it should not be causing physical issues. Take it slow in the beginning and gradually increase your workouts over time. Make a commitment to your exercise plan. From stressed-out executives to frazzled stay-at-home moms, everyone is busy. Putting time aside to exercise means that you have made your health and well-being a top priority. It can take time before you notice improvements in your panic symptoms. For the best results, stay patient and consistent with your exercise program. Know that your motivation may change at different stages of your exercise plan. It is not uncommon for your initial enthusiasm to fade over time. It can help to change your routine a little or find new exercise options altogether. For example, if you're getting bored with the treadmill at the local gym, try walking locally or joining a hiking group. These alternative options can also have the added benefit of helping you socialize while you exercise. Keep experimenting. Experiment with different strategies to find what works best for you. If you struggle to stick with exercise first thing in the morning, try exercising in the afternoon. Or, if you discover that you dread hitting the gym, try exercising outside. Keep experimenting until you find something that you are likely to stick to. Bourne, E. J. The Anxiety and Phobia Workbook. 5th ed. Oakland, CA: New Harbinger, 2011. Mikkelsen K, Stojanovska L, Polenakovic M, Bosevki M, Apostolopoulos V. Exercise and Mental Health. Maturitas. 2017;106:48-56. Mazyarkin Z, Peleg T, Golani I, Sharony L, Kremer I, Shamir A. Health benefits of a physical exercise program for inpatients with mental health; a pilot study. Journal of Psychiatric Research. 2019;113:10-16. Domingues RB. Modern postural yoga as a mental health promoting tool: A systematic review. Complementary Therapies in Clinical Practice. 2018;31:248-255. Abbott R, Lavretsky H. Tai Chi and Qigong for the Treatment and Prevention of Mental Disorders. Psychiatric Clinics of North America. 2013;36(1):109-119. Are Mental Filters Causing Your Anxiety?